It’s official. Brothers and co-drivers Ricky and Jordan Taylor and their No. 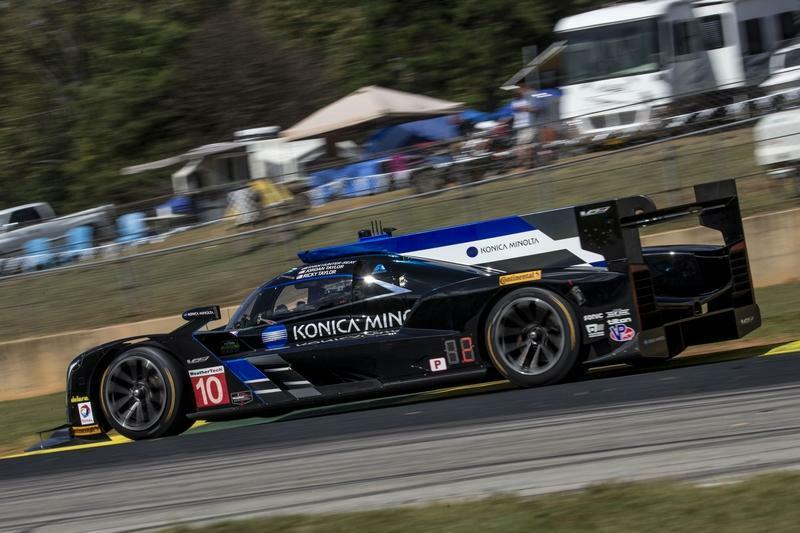 10 Konica Minolta Cadillac DPi-V.R teammates laid claim to the 2017 IMSA WeatherTech SportsCar Championship driver and team titles Saturday at the season-ending Petit Le Mans at Road Atlanta. Not even today’s early exit from the 20th edition of the iconic 10-hour endurance marathon could put a damper on one of the most prolific seasons in North American sportscar racing history as the Taylors took to the track with five victories and seven podium finishes in the bank and needing only to take the green flag to start today’s event to clinch first place in the driver and team standings. The day came to an unexpected and early end, however, when third driver Ryan Hunter-Reay – the 2012 IndyCar Series champion, 2014 Indy 500 champion and runner-up with Jordan Taylor and veteran Italian Max “The Ax” Angelelli at the 2013 Rolex 24 At Daytona – coasted into the pits at the two-hour, 27-minute mark having lost drive to the rear wheels. The team pushed the car to the garage and withdrew from the race soon after. Aside from the team’s first Petit Le Mans win since the Taylor brothers and Angelelli won this race in 2014, the remaining goal for the weekend were the driver and team title sin the Tequila Patron North American Endurace Cup, the championship-within-a-championship rewarding the best performers in the four iconic endurance events on the schedule – the Rolex 24, the Mobil 1 Twelve Hours of Sebring, the Sahlen’s Six Hours of The Glen, and the Petit Le Mans. The Taylors and the No. 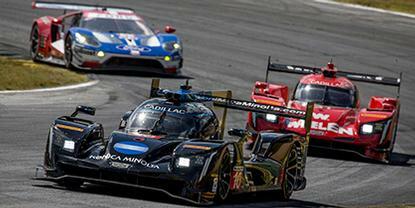 10 Konica Minolta Cadillac DPi-V.R team arrived at Road Atlanta trailing the No. 5 Action Express Racing Cadillac DPi-V.R team by just two points. With the early exit by the No. 10 Konica Minolta Cadillac DPi-V.R, the No. 5 team was able to clinch that title by the four-hour mark of today’s race. Ricky Taylor’s bid for a fourth consecutive pole position and fifth of the season was thwarted when he ended up seventh in Friday’s qualifying session. He played it safe during the early laps of today’s race but made steady and determined improvement in track position during his opening two-hour, 20-minute stint. He and the team worked their way into the top-five during a round of green-flag pit stops at the one-hour mark, and he found himself in the lead for the first time on lap 78, just past the two-hour mark. He held the point for the next 13 laps before pitting on lap 91 to turn the car over to Hunter-Reay. Just a short time later, Hunter-Reay coasted into the pits from his spot in the top-five and the team called it a day – and a season – shortly thereafter. Jordan Taylor, who also won the 2013 Grand-Am Rolex Sports Car Series driver championship alongside Angelelli in the No. 10 Prototype, was today’s third driver in the rotation but never had a chance to get behind the wheel. The 2018 seasons begins with the traditional Rolex 24 At Daytona Jan. 27 to 28 at Daytona (Fla.) International Speedway.